When does forever really not mean f-o-r-e-v-e-r? In the context of signing away your rights to your music to a publisher or a label, forever may mean 35 years or so. Suppose you are a publisher or a record label and I am a 25-year-old writer or artist. You are impressed with my music and we begin talking. After a couple of weeks of proper courting we decide to consummate the relationship. You present me with a contract. The language states you give me money as an advance; in exchange, I give you my music and the copyrights linked to the music for the life of the copyrights. Thinking this is the standard deal and not really thinking that the life of a copyright is 70 years after my own death, I sign away. So, assume I sign the contract in ink (or blood or something). Is that it? Will my work remain with your company for the next 100 years or so? No, not necessarily. Despite what many think and despite the actual language of the contract, you may be able to get your copyrights back. There are strict time lines and certain formalities that must be followed; which, if done timely and correctly, will result in you getting your copyrights back. These guidelines are set forth in a little discussed portion of the 1976 Copyright Act (Section 203 to be precise). Note: This does not apply for works made for hire. Section 203 provides a chance for songwriters to terminate their assignments and recapture their copyrights. For works after January 1, 1978 (the year the 1976 Act went into effect) grants, assignments and licenses can be terminated during a five year window starting 35 years after such grant was made. For the termination to be effective a letter requesting that the copyrights revert to the songwriter must be sent no more than 10 years prior and no less than two years prior to the effective termination date. There are certain other formalities, such as recording a termination notice with the Copyright Office, for which you should contact an attorney experienced in recapture rights. Here’s how Section 203 works: suppose a song was written and assigned on January 2, 1978; the writer could get his/her copyright back between the years 2013 ‘ 2018 (1978 + 35 years + 5 year window). Termination letters could be sent beginning in 1993 and no later than 2016 (10 years prior to 2013 and less than two years before 2018). If done correctly and timely, publishers cannot deny these termination letters. As an added bonus you cannot waive your rights in advance, meaning the contract you had me sign granting you my copyrights seemingly forever would not affect my right to recapture my copyrights. In fact, right now, there are writers and artists in this exact position requesting that their copyrights revert back to them. However, if you do not send a proper termination letter during the proper time frame, the contract will then go back into effect and the publisher or record label would continue to own your copyrights for life of the copyright. So what’s the big deal about getting your copyrights back? What do you do if you get your copyrights back? Suppose you don’t have any business experience and have no idea what to do to market and get your material out to the public? Fear not readers. You can use this as a negotiating tool. For example: suppose your contract allowed for a future advance of x dollars and a money split of x%. Well, you could renegotiate all your terms. You could ask for three times x and a money split of x+10%. I will let you fill in the x’s, percentages and numbers until you are happy because that is how you could (and should) handle negotiations of this type. Another option would be to take your copyrights and move to another company on more favorable terms. Yet another option would be to recapture your copyrights and start a company to start selling or licensing your copyrights. There are countless options available if you decide to recapture your copyrights. It is important to remember the value of a label or a publisher is the value of the copyrights it owns and controls. Think of how many albums the Beatles, Stevie Wonder, The Who, Led Zeppelin, Ray Charles, etc. still sell. Think of how many times you hear those same artists on the radio or in movies or on television or in video games. (Labels currently do not receive money for terrestrial radio play). Now, you may not be as well known as the artists just mentioned but think of how much you could do if you had control over your rights. A label usually only pushes an album for about 12-18 months; after that the album slowly fades into obscurity. However, they still own the copyrights. If the label does not push it; no one can. Now, if you had your rights back you, or a new partner, could go out and try to get your music placed on television shows, movies, video games and commercials and reap 100% of the money. There are several companies out there that pitch and place music in all these areas (for a fee or commission). Another source of income could be repackaging and selling your album yourself. Whether it is on iTunes or at the local indie shop; you could sell your own cds and keep your own money. No one will ever care about your music more than you. If you are back in control of your songs and master recordings, your music may get a new push and find opportunities you never thought possible. This is an exciting time in the music industry. Every year new writers and artists start entering the termination period for copyrights. New business models, new marketing techniques and new interest in older songs are going to emerge. Songwriters should not wait around to see what happens. Without controlling your music, you cannot control your professional destiny. Taking the steps to recapture your copyrights can renew, revive or simply sustain a musical career. Ajay Gosain and Josh Kaplan are attorneys at Troglia Kaplan Holzman LLC (www.tkhlaw.com) where they work with musicians and other creative individuals and businesses. 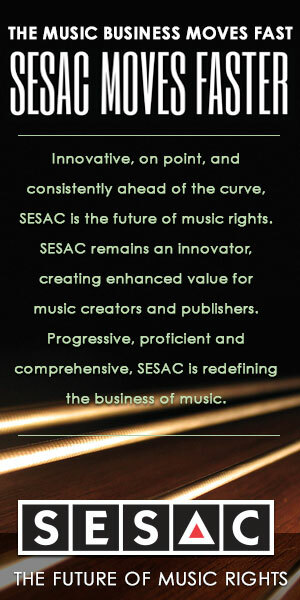 Currently they are working with songwriters to help them recapture their copyrights. You can find more information about the authors and this topic on www.lawyer4musicians.com.